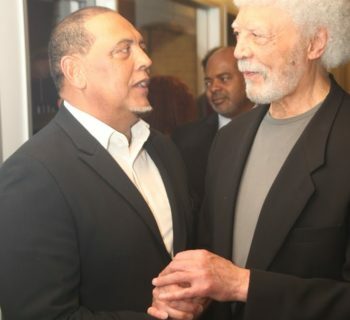 Ron Dellums, the son of a longshoreman who became one of America’s best-known black congressmen, a California Democrat with a left-wing agenda that put civil rights and programs for people ahead of weapons systems and warfare, died early Monday at his home in Washington. He was 82. His death was confirmed by Dan Lindheim, who was an aide to Mr. Dellums on Capitol Hill and was city manager of Oakland when Mr. Dellums was a one-term mayor there a decade ago. Mr. Dellums had cancer, he said. 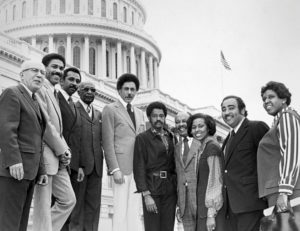 A former social worker representing Oakland and Berkeley, perhaps the nation’s most liberal congressional district, Mr. Dellums went to Washington in 1971 as a fiercely liberal — some said radical — firebrand protesting the Vietnam War. He demanded a House investigation into American war crimes in Vietnam. When his pleas were ignored, he held his own informal hearings, which drew national attention. As antiwar protests raged outside the Capitol, a former Army sergeant told in unsworn testimony how he and his platoon had massacred 30 men, women and children in a Vietnamese village. It was a shocking beginning. 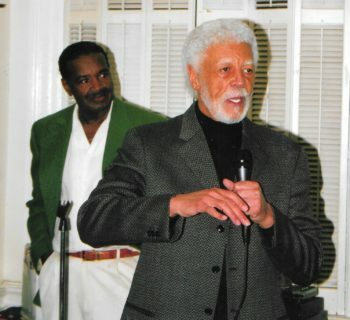 But over the next 27 years, Mr. Dellums became a calmer voice, still defending principles as he saw them, but as a mellower graybeard spearheading the Congressional Black Caucus and conferring with the White House, the Pentagon and leaders of Congress as a member and finally chairman of the powerful House Armed Services Committee. By then, a lawmaker who had cut a striking figure on joining the House of Representatives — 6 feet 4, with a modified Afro and a drooping mustache, mod ties, Edwardian jackets and bell-bottom trousers — was wearing three piece suits. 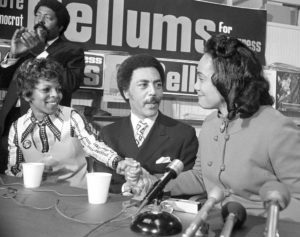 Mr. Dellums introduced hundreds of bills and resolutions that went nowhere, and was rarely on the winning side of fights. But he was an outspoken critic of presidents, Republican and Democratic, and for many Americans beyond his tiny Congressional district, he championed a progressive mantra: Stop war. Cut military spending. Help people. Address the nation’s social problems. He won a dozen re-election campaigns and the sometimes grudging respect of colleagues on both sides of the aisle. His voting record also won virtually straight A’s from labor, consumer, women’s and environmental groups. Human rights organizations hailed his fights to restrict aid to African nations, like Zaire, Burundi, Liberia and Sudan, whose regimes were openly repressive. After a 14-year campaign against apartheid in South Africa, he wrote the 1986 legislation that mandated trade embargoes and divestment by American companies and citizens of holdings in South Africa. President Ronald Reagan’s veto was overridden by Congress, a 20th-century first in foreign policy. The sanctions were lifted in 1991, when South Africa repealed its apartheid laws. Mr. Dellums opposed every major American military intervention of his tenure, except for emergency relief in Somalia in 1992. He sued President George H. W. Bush unsuccessfully to stop the Persian Gulf War in 1990-91, saying the invasion did not have congressional authorization. And he voted against the new weapons programs and military budgets of all six presidents in his era. His “alternative” budgets, written for the Congressional Black Caucus (he was a founding member in 1971 and chairman from 1989 to 1991) proposed spending instead for education, jobs, housing, health care, assistance for the poor and programs to fight drug abuse. Right-wing critics repeatedly labeled him a Communist, citing his 1970 talk to a world peace conference in Stockholm and his meeting with President Fidel Castro of Cuba in Havana in 1977. 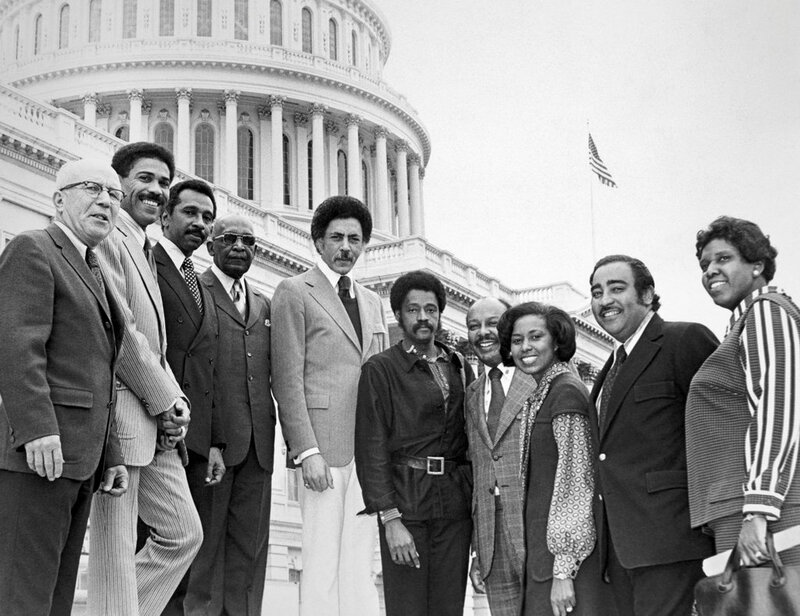 Over time, congressional colleagues came to respect Mr. Dellums’s legislative and military expertise. In 1993, the House Democratic Caucus voted 198-10 to name him chairman of the Armed Services Committee, with oversight for defense appropriations and global military operations. He was the first African-American and the first antiwar activist to hold that post. 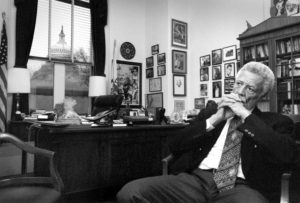 A fox-in-the-henhouse cartoon portrayed a general and an admiral at the committee door under a banner proclaiming, “Under New Management.” Inside, Mr. Dellums brandishes a meat ax. “Call security,” one military man says to the other. During his two years as the committee chairman, Mr. Dellums conferred with President Bill Clinton and Defense Secretary Les Aspin on military policies. With the Cold War over, he achieved cutbacks in some weapons programs, notably the B-2 Spirit (Stealth) bomber. But he failed to make substantial progress in redirecting budget priorities from defense to domestic programs. His decision to retire in 1998, halfway through his term, made headlines, and brought many encomiums. 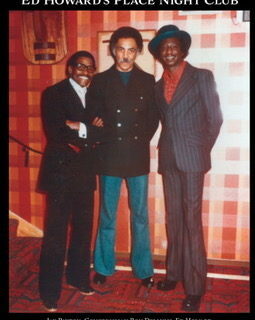 Ronald Vernie Dellums was born in Oakland on Nov. 24, 1935, one of two children of Vernie and Willa (Terry) Dellums. His father had been a sleeping-car porter before becoming a longshoreman. C. L. Dellums (1900-1989), an organizer of the Brotherhood of Sleeping Car Porters, was an uncle of Ron’s. At McClymonds High School in Oakland, Ron played baseball with the future Major League stars Frank Robinson and Curt Flood and dreamed of a baseball career. But after graduating from Oakland Technical High School in 1953, he could not find work and joined the Marine Corps. Discharged in 1956, he attended Laney College in Oakland on the G.I. Bill and took an associate degree in 1958 from the renamed Oakland City College. He earned a bachelor’s degree from San Francisco State College in 1960 and a master’s in social work from the University of California at Berkeley in 1962. Mr. Dellums and his first wife, Arthurine, who were married while he was in the Marines, had two children. The marriage ended in divorce in 1957. In 1962, he married Leola Higgs, who is known as Roscoe, a lawyer and former broadcaster. They had three children. That marriage, too, ended in divorce, in 1999. In 2000, he married Cynthia Lewis, who survives him. In addition to her, his survivors include two sons, R. Brandon and Erik; two daughters, Piper Dellums and Rachel Chapman; a stepson, Kai Lewis; six grandchildren; and two great-grandchildren. In the 1960s, Mr. Dellums worked for state and private social-work agencies in the Bay Area, aiding poor and troubled clients. It was an era of anarchic struggle against racism and police brutality in Oakland. Shootouts cost dozens of lives. 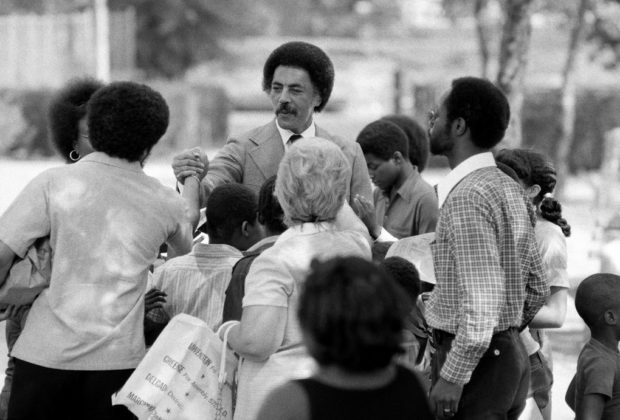 Mr. Dellums disowned violence and never joined the Black Panthers, the paramilitary black power group that had a large presence in Oakland, but he defended their struggle against racism. His first foray into politics was a successful run for a seat on the City Council in 1967. He became an advocate for minorities and liaison to student groups at Berkeley. In 1970, backed by a coalition of minorities, students and labor, he upset Representative Jeffery Cohelan, a more conventional liberal, in the Democratic primary for the Oakland-Berkeley seat in Congress, and easily defeated a Republican in the general election. The district was redrawn twice, but his margins of victory reached up to 77 percent of the vote. Mr. Dellums remained in Washington until, in a last hurrah, he returned to California in 2006 to run for mayor of Oakland, winning in a three-way race. Serving one term, from 2007 to 2011, he hired more police officers to fight rising crime, and added teachers and new programs to cut truancy and dropout rates in troubled public schools. He also used his Washington contacts to win millions in grants to expand police resources and stimulate the Oakland economy. Critics said his administration lacked transparency. In 2009, the Internal Revenue Service cited Mr. Dellums and his wife for failure to pay $239,000 in income taxes over several years and placed a lien on their property. 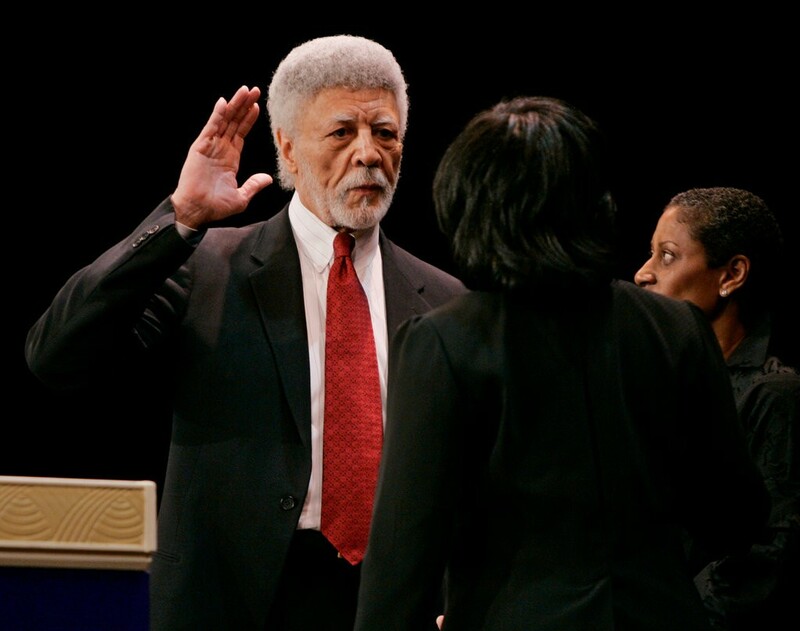 Mr. Dellums denied any willful evasion of taxes, but did not run for re-election in 2010. 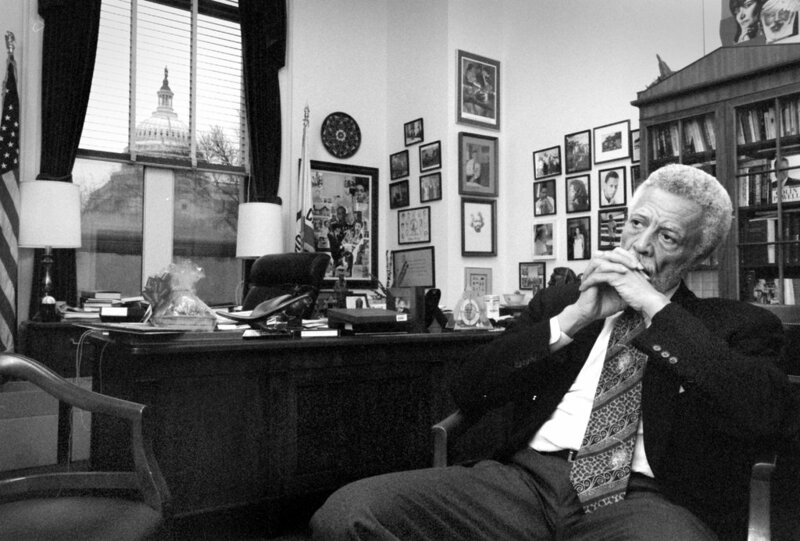 Mr. Dellums returned to Washington and resumed lobbying there after his mayoralty. In 2000, he published an autobiography, “Lying Down With the Lions: A Public Life from the Streets of Oakland to the Halls of Power,” written with his longtime spokesman, H. Lee Halterman. For 20 years, we have been satisfying clients in the San Francisco Bay Area and beyond in a variety of ways. Contact us to find out how we can help you to wow your guests, clients and colleagues! Official venue for 1st Saturday's Birthday Party! Jazz Sunday, Comedy and more. If you're here for a good time, you are more than welcome!